International Day of Happiness started off sunny and warm and was really a very happy day for me, and I think the rest of the Dwell Time team. 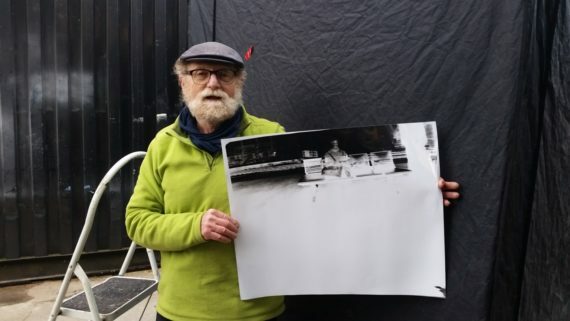 We arrived at Huddersfield station for a press photo and a pinhole camera team photo with artist Bob Clayden who had set up a giant pinhole camera in one of the decommissioned train carriages alongside Platform 2 which is now refurbished into part of the charity Platform 1’s site. Bob and Rose used the train carriage pinhole camera and a suitcase pinhole camera (Zebra Cam: a zebra print suitcase made into a pinhole camera) to take long exposure photos of commuters willing to sit for around 10 minutes relatively still (reading the publication is conveniently the perfect Dwell Time). 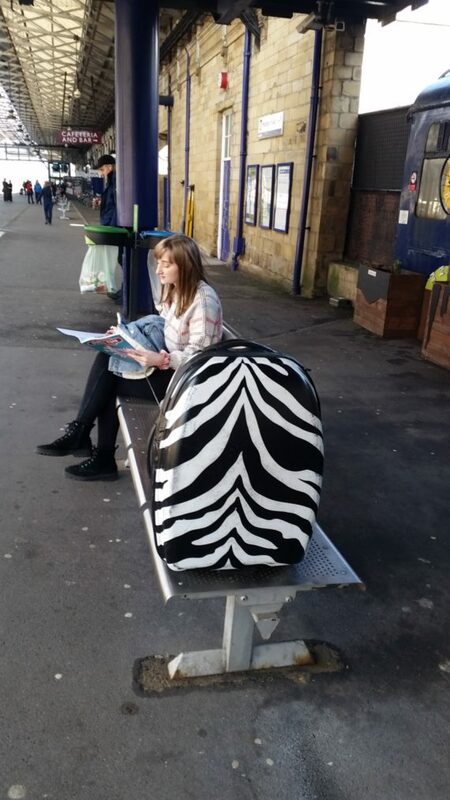 As we sat on the platform seats, we met a woman boarding the Sheffield bound train who works for the Anthony Seddon charity and we swapped stories. The charity was set up in memory of some who who died from bipolar and depression, much like the founding reason of Dwell Time. 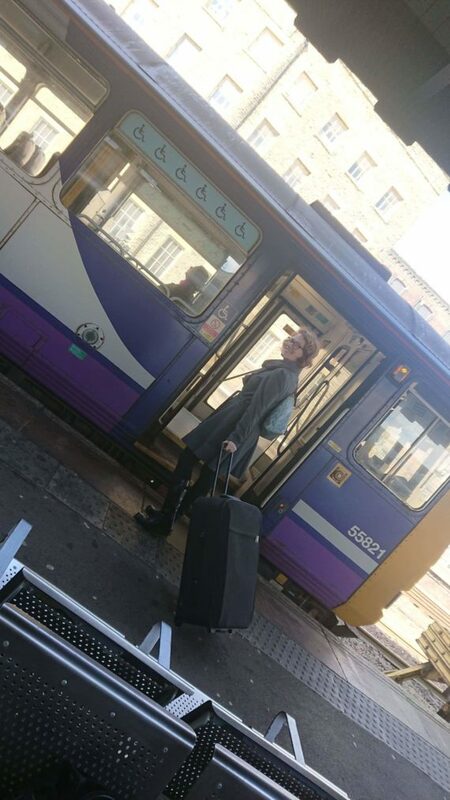 As Bob, Rose, Lenny and Vanessa continued to engage people in conversation and take their photos, I jumped onboard the train to Sheffield to go and see Amelia Baron performing Take 10 at Sheffield Train Station. Amelia had been performing for a few hours when I arrived and we had a quick chat about how it was going. It was a lot warmer than we’d both anticipated so I went to get more water and then I took some flyers and publications up to Site Gallery, with a quick look around the show. When I returned I had a chat with the British Transport Police who seemed really interested in our project. The officer I talked with said if we wanted to issue a Freedom of Information Request, we could find out that in the last year that; out of the circa 24,000 incidents they attended, around 16,000 of those were categorised as mental health. These are often people in crisis and at risk to themselves or other people (mainly to themselves). A massive decline in funding to mental health support services and both preventative and crisis services is having a serious impact here – and this is just the tip of the iceberg from the perspective of the services on the ground responding to people in crisis. 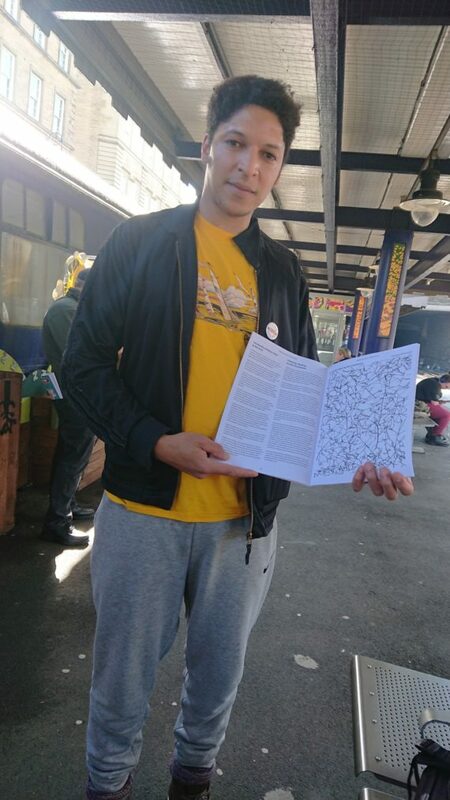 On a more positive note, back in Huddersfield we had one of our awesome publication contributors Ben visit us and take part in a pinhole camera photo. Ben wrote the piece The Benefits of Being a Sieve. These are poignant words in a world where everything seems on the point of collapse. It’s a valuable skill to be able to let go of things and not carry around the burden of problems you cannot fix: being a sieve has the benefit of lightness and also the added benefit of being reflective.